Neck pain is a very common complaint. The most common cause of neck pain is strains and sprains. The resultant pain can be severe and even temporarily disabling to the patient’s everyday activities. The frequency of this condition is closely related to our lifestyles. For example, awkward positions such as cradling the phone between the ear and shoulder, sitting in a chair that offers no support, or working at an ill-designed computer station can contribute to neck strain. Another example is whiplash, which is a type of neck strain. It may develop after an automobile accident when the head is suddenly and quickly forced forward and backward (excessive flexion and extension) during a rear-end collision. Other causes of whiplash include injuries during sports or biking. Although, the initial neck pain may be so severe that the patient fears they have “broken” their neck, the good news is that most neck strains and sprains are easily treated and do not require spine surgery. Remarkably, only 7 small vertebrae and an intricate system of soft tissues (muscles, tendons and ligaments) support the head and enable it to move in a wide range. The neck (or cervical spine) is the most mobile segment of the spine, but this mobility also makes it susceptible to strain and injury. Sprains and strains are soft tissue injuries. A strain affects muscles and tendons, while sprains affect ligaments. While these soft tissues provide reinforcement of the cervical vertebrae, they can be stressed and forced to the point of injury. Excessive flexion (bending forward) and extension (bending backwards) activities, especially when combined with poor posture and movement mechanics, can lead to injury. The typical symptoms of cervical strain and sprain include sharp pain, stiffness and difficulty when moving, and swelling. Whiplash shares these symptoms and may include headache, dizziness, difficulty swallowing and chewing, burning sensations, and shoulder discomfort. Although the symptoms described above might exist, it does not necessarily mean that the patient has a sprain or strain. To make a correct diagnosis, doctors at our practice take several steps. First, we will take a detailed patient history, asking for information about when the pain started, what makes the pain worse, and so forth. Palpation – the physician feels the patient’s spine to detect muscle spasm and areas of inflammation. Range of motion exam – measures the degree of mobility of the neck. For example, can the patient turn his or her head from side to side comfortably or bend the neck forward and backward without pain? Neurologic exam – tests the patient’s reflexes, motor, and sensory responses. For example, are there areas of tingling or numbness in the shoulders, arms or hands? Finally, it is possible that physician will order an x-ray to evaluate the spine. Seldom is further diagnostic testing initially required. The vast majority of sprains and strains do not require surgery. Treatment options thus focus on non-operative techniques. The majority of patients will be prescribed medications to relieve pain and muscle spasm. Medications may include an anti-inflammatory, a muscle relaxant, and either narcotic or non-narcotic medications for pain. A narcotic is only prescribed temporarily when a non-narcotic medication is insufficient to relieve pain. Some patients will be instructed to wear a soft cervical collar. This is a removable, padded, adjustable collar worn about the neck that serves to gently support tender and painful neck tissues. A cervical collar is a short-term treatment (two to three weeks) to help the patient manage muscle spasm, neck fatigue, and pain. Finally, there is physical therapy. Therapeutic exercise programs begin slowly to acclimate the patient to stretching and strengthening routines. The patient is usually provided with a home exercise program to continue on a regular basis. 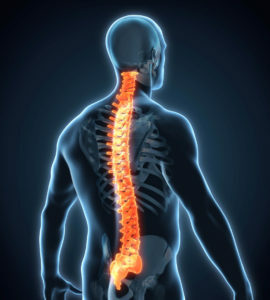 A strong and agile spine is one step toward preventing future injury. In addition, physical therapy incorporates “hands on therapies” such as ultrasound, massage, heat or ice packs, and electrical stimulation. These therapies work to increase neck mobility and decrease inflammation, muscle spasm and pain. Manual therapies of this type also increase circulation to the site of injury and facilitate healing. Chiropractic care can also provide good results for patients with strains and sprains. The symptoms associated with neck strains and sprains can be similar to symptoms of more serious conditions. As a result, it is very important that patients do not try to diagnose themselves, and just assume their neck pain indicates a strain of sprain. Patients should visit a doctor who is an expert at diagnosing such conditions, and at identifying other more serious conditions with similar symptoms.